Product prices and availability are accurate as of 2019-04-19 09:04:30 CDT and are subject to change. Any price and availability information displayed on http://www.amazon.com/ at the time of purchase will apply to the purchase of this product. 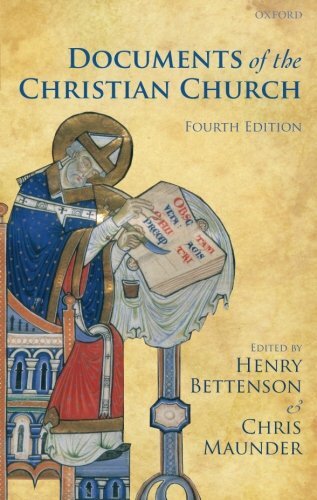 This selection of writings from the most important moments in the history of Christianity has become established as a classic reference work, providing insights into 2000 years of Christian theological and political debate. While retaining the original material selected by Henry Bettenson, Chris Maunder has added a substantial section of more recent writings. 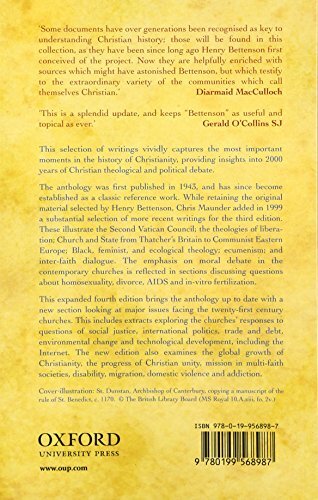 These illustrate the Second Vatican Council; the theologies of liberation; Church and State from 'Thatcher's Britain' to Communist Eastern Europe; Black, feminist, and ecological theology; ecumenism; and inter-faith dialogue. The emphasis on moral debate in the contemporary churches is reflected in selections discussing questions about homosexuality, divorce, AIDS, and in-vitro fertilization, amongst other issues. This further expanded fourth edition brings the anthology up-to-date with a new section looking at issues facing the twenty-first century churches. 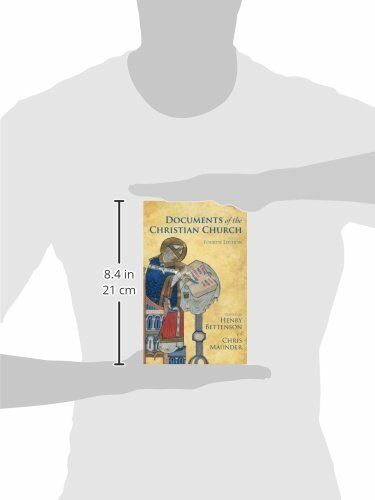 This includes extracts exploring the churches' responses to questions of social justice, international politics, trade and debt, environmental change, and technological development. New material also covers the global growth of Christianity, the progress of Christian unity, and mission in multi-faith and postmodern societies.